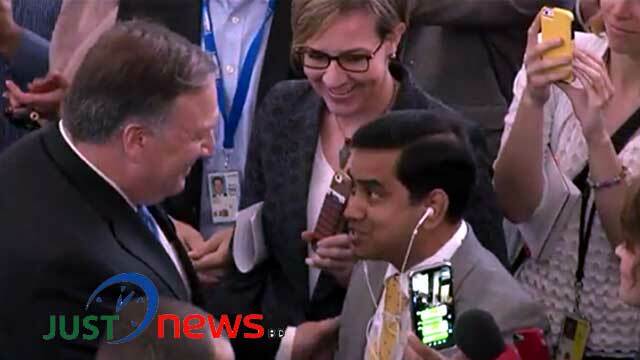 M Mushfiqul Fazal from State Department, May 1 (Just News): Newly appointed US Secretary of State Mike Pompeo formally in to his office on Tuesday. He was warmly welcomed by the US State Department officials. Hundreds of employees gathered in the State Department lobby to welcome their new boss. “So I have a great deal to learn about the State Department and how we perform our mission, but as people, I’m confident that I know who you are. I know that you came here. You chose to be a Foreign Service officer or a civil servant or to come work here in many other capacities and to do so because you’re patriots and great Americans and because you want to be an important part of America’s face to the world." “I know for certain that America can’t execute that duty, can’t achieve its objectives absent you all, absent executing America’s foreign policy in every corner of the world with incredible vigor and incredible energy. And I am looking forward to helping you all achieve that,” he added. The 70th Secretary of State debut was delayed to get in the office because he launched himself into his first international trip immediately after being sworn in, traveling to Belgium and the Middle East to shore up key alliances and discuss the Iran nuclear deal. “I’ve worked alongside you as a member of Congress when I traveled. I’ve had the chance to watch when I was traveling around the world and I would go into an embassy and I’d arrive late at night and there were the folks in the political section or the economic section toiling, doing great work on behalf of America,” said Secretary of State. “I talked about getting back our swagger, and I’ll fill in what I mean by that, but it’s important. 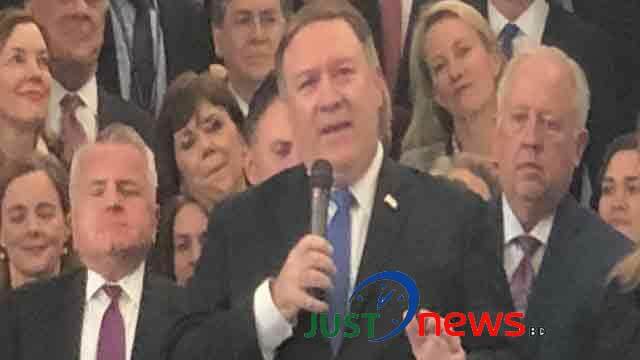 The United States diplomatic corps needs to be in every corner, every stretch of the world, executing missions on behalf of this country, and it is my humble, noble undertaking to help you achieve that,” he said. After arrival at 1.30 pm new Secretary of State was received by the Deputy Secretary of State John J Sullivan and Under Secretary of State Thomas A Shannon at the State Department premises. 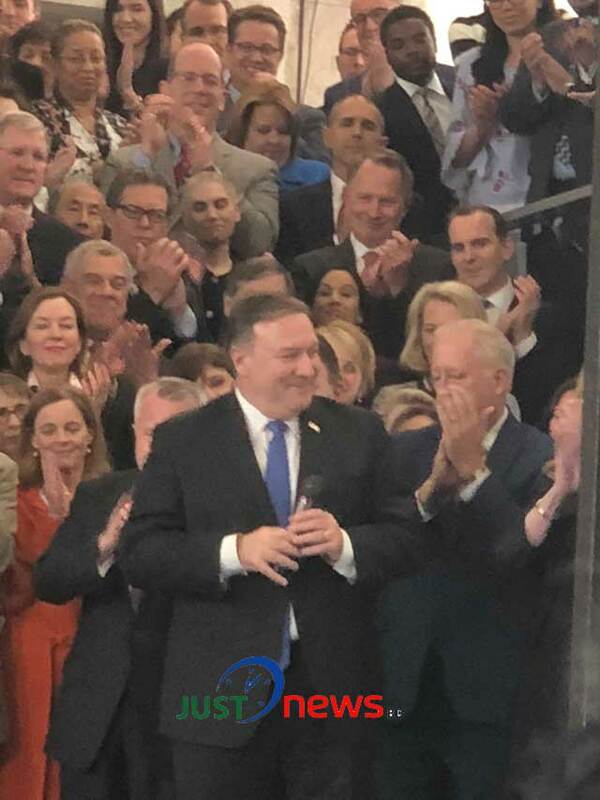 Then Pompeo entered the State Department main lobby with huge applause and cheers by the employees.